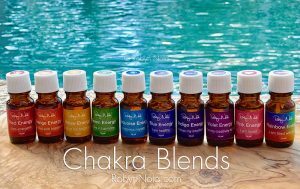 Chakra balancing essential oil blends that are color coded to the energy centers in your body. 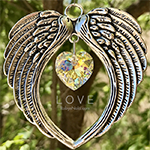 They are made to help balance your chakras and bring you the healing power of nature thru aromatherapy. Each chakra blend is made with therapeutic grade, 100% pure essential oils and are premixed in a jojoba oil base, so it’s ready to use and you can apply them directly on your body and don’t have to worry about mixing. Also available as a whole chakra set.